This picture is from the Texas Children's Hospital in Houston, Texas. The interior of the hospital is nothing ordinary and is a child's visual amazement. 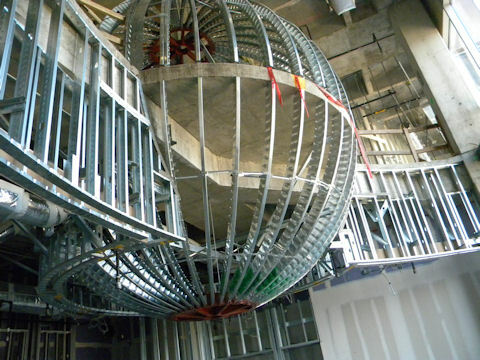 The hallways are curved, and the sphere is at the entrance lobby of the hospital. The design and detailed work is a modern day marvel. The people who put this together had to have a refresher crash course in math to accomplish this.